Lock in a great price for Best Western Alamosa Inn – rated 8.3 by recent guests! Good price for quality level of the hotel. Free hot breakfast was good, and the staff was friendly and helpful. The green chili for breakfast was great. The staff were all very nice. Loved the lady that works at the desk. Loved the cleanliness of the facility. Loved the comforts of the room in general. I would recommend to the highest. Thank you. Best free breakfast I've had at a hotel. Staff was awesome. Food was great,staff was friendly, room was clean. 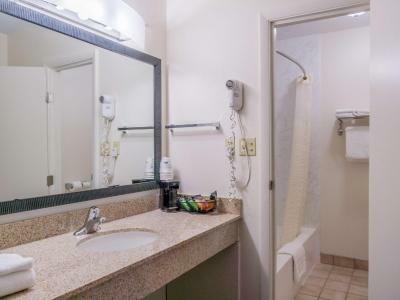 Clean room, great facilities including microwave, refrigerator and tv. Heating is brilliant (however a bit loud) and water temperature is great. Staff very friendly, we appreciated their help and happy greetings. Breakfast was good, wide variety of food. The manager was very nice to us as he insisted that we have the continental breakfast that had just missed as we were checking out. He brought out the eggs and potatoes and sausage and we enjoyed the breakfast as the staff cleaned up the rest of the dining area. We appreciated his extra effort in making our morning more special. So clean, awesome beds, friendly staff, best breakfast anywhere! 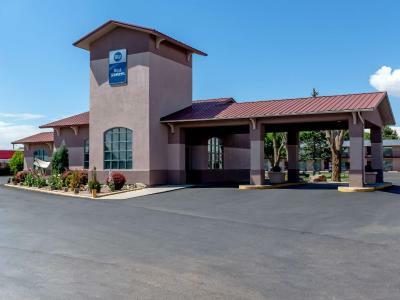 Best Western Alamosa Inn This rating is a reflection of how the property compares to the industry standard when it comes to price, facilities and services available. It's based on a self-evaluation by the property. Use this rating to help choose your stay! 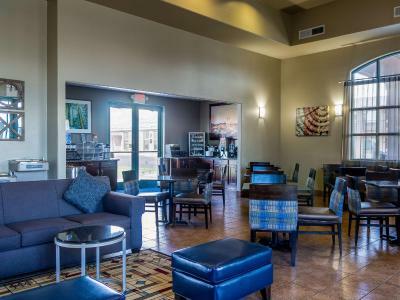 This Alamosa, Colorado hotel features warmly decorated rooms with free Wi-Fi and a cable TV. It offers a free shuttle to the San Luis Valley Regional Airport, just 2.9 miles away. 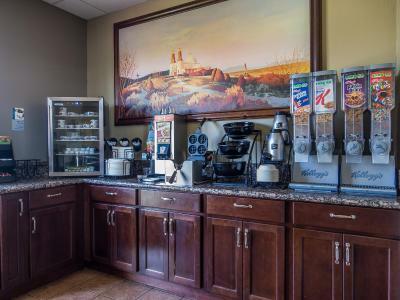 A refrigerator, microwave and coffee maker are included in all rooms at the Best Western Alamosa Inn. Each room features a spacious work desk and a seating area and offers simple décor. 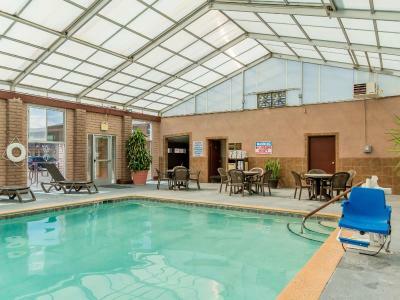 Guests can enjoy the indoor pool or relax in the jacuzzi. 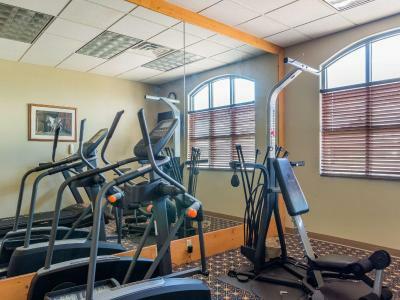 Free access is provided the hotel’s fitness room, and a business center is on site. 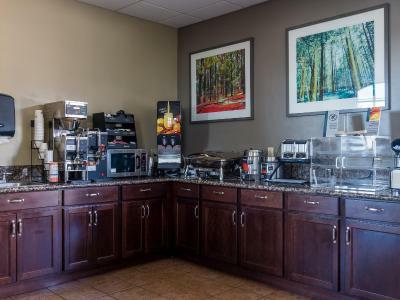 A daily continental breakfast featuring waffles and eggs is offered each morning at the Alamosa Best Western. Adams State College is just a 10-minute walk from this hotel. The Cattails Golf Course is an 8-minute drive away. 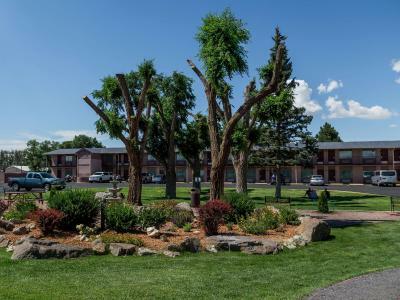 This property is also rated for the best value in Alamosa! Guests are getting more for their money when compared to other properties in this city. 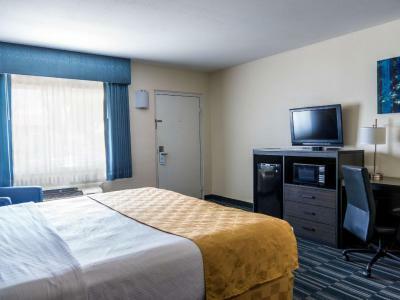 When would you like to stay at Best Western Alamosa Inn? 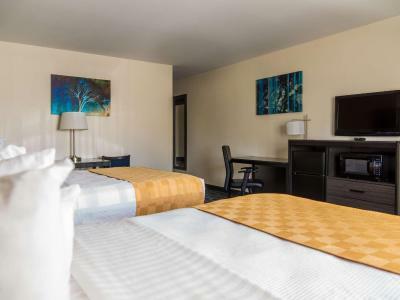 House Rules Best Western Alamosa Inn takes special requests – add in the next step! Free! Any additional children under 12 years stay free of charge when using existing beds. 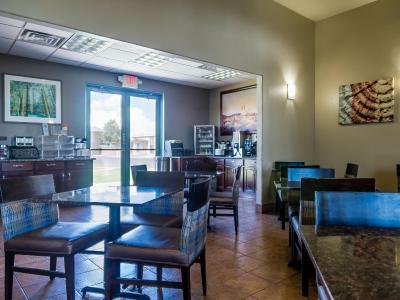 Best Western Alamosa Inn accepts these cards and reserves the right to temporarily hold an amount prior to arrival. Wifi was spotty in my room-I called the front desk and they sent a staff member to investigate. I was told that the router for my wing of the motel was right about my room, so they couldn't understand why I was having problems. But for whatever reasons, the wifi worked better after he left. The pool was freezing and the hot tub smelled terrible and was luke warm. Pillows are terrible, I went and bought one for the 2nd night. The pool was freezing because the heater was out. This was not informed before my booking as the pool was one of the main reasons I chose to stay there. Sidewalks in the area are poor. I loved the hot breakfast! Quit and clean. Great b-fest. As wonderful as our breakfast was, we were disappointed in the shower head. The manger said he would have the maintenance department take a look at it. Nothing I did not like here. The breakfast was just ok...nothing spectacular.